The most anticipated game on the planet may not even be in production, if you believe the words of a longtime Valve actor who has made appearances in games like Half-Life 2 and Dota 2. Actor John Patrick Lowrie has been in multiple Valve games, and he's married to Ellen McLain, best known as the voice of GLaD0S from Portal 2. He works with Valve people. He talks to them. He says they're not even working on Half-Life 3, the elusive game that has frustrated fans for years now. Here is the biggest challenge with bringing out HL3: the big thing now with FPSs is motion capture, or mo-cap. One of the great things about HL2 is that all of the characters that you meet actually look at you when they talk to you no matter where you go or stand. With mo-cap you can’t do that, at least not yet. Once you film the actor doing something and capture that motion, that’s what the character is going to do. This works great in movies, but when you make something interactive it gets way less interactive with mo-cap. So that’s one of the things they’re working on. Well, I’m not sure how big it is for HL2 fans. They don’t tell me their business plans, this was just a conversation I had. Right now they’re pretty full up with all the games they already have out there that they continue to support, plus the Steam stuff that they do, so, I don’t want to get people’s hopes up. I have no idea what they’re planning for the future. But I did have that conversation with some Valve folks, so I thought you might like to know what they’re thinking about. Right. As far as I know they are not developing HL3 now for several reasons, among them the mo-cap issue. Sorry for any confusion. What they might decide in the future depends on lots of different factors. I hope they do, personally, but it has to make sense for them. No problem! Glad to give any info I have. I just don’t want to get fans hopes up when I really don’t know anything about their decision process. I’ll find out about it when they call me in to record lines! In response to one person saying "HL3 confirmed," Lowrie responded: "Sorry, I’m afraid that the opposite is true. 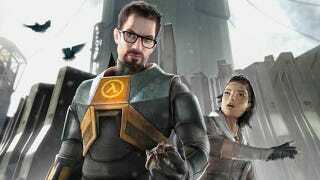 HL3 is not being worked on at this time as far as I know." Although the blog post is from 2011, the comments are dated August 14, 2013. The most recent episode of Half-Life 2 came out in 2007. We've reached out to both Lowrie and Valve for more details, and will keep you guys updated as we hear more.